Home Steve Jobs: "You Won't Be Disappointed". Steve Jobs: "You Won't Be Disappointed". 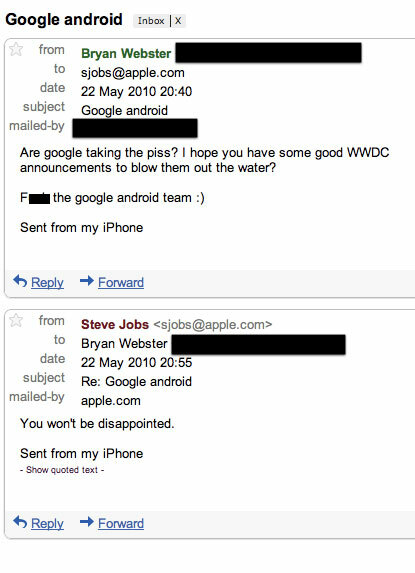 The Email to the left was supposedly sent to Steve jobs asking: "I hope you have some good WWDC announcements to blow them out of the water! ", which was referring to the google android team. In response, Steve Jobs said: "You Won't Be Dissappointed". Is he referring to the iPhone 4g? We'll have to see on June 7th.